We offer you a complete set of UML toolset so you can design your own polished software system. Compile project keywords and re-use terms while naming shapes. 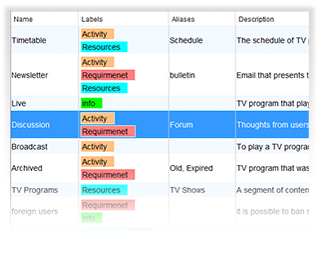 Stay organized and make use of the label feature for categorization. Capture user requirements with UML use cases, agile user stories and scenarios.